I’ve recently reviewed a couple of albums on this blog that I referred to as “growers.” What I mean is that they are records whose greatness is not revealed upon the first listen. It takes several listens to get what the band or artist is trying to accomplish. It may never be a great record, but a grower needs time and commitment to enjoy. One has to give it a chance. The same can be said for beer styles1. Most beer geeks I know prefer big, hoppy brews that are bitter, rich, complex, the opposite of your basic, rice-based American lager. “Lager” is often considered a bad word in beer geek circles. It’s associated with Bud, Miller, Old Milwaukee, Pabst, Keystone, etc. Watered-down beers that can only be consumed ice-cold are avoided by folks who like to taste their beers2. However, I think lagers should be given a second look3. Rogue out of Oregon brews their Dirtoir Black Lager using home-grown ingredients (plus a few grown elsewhere4) to delicious results. The beer is technically a Schwarzbier or German dark lager. 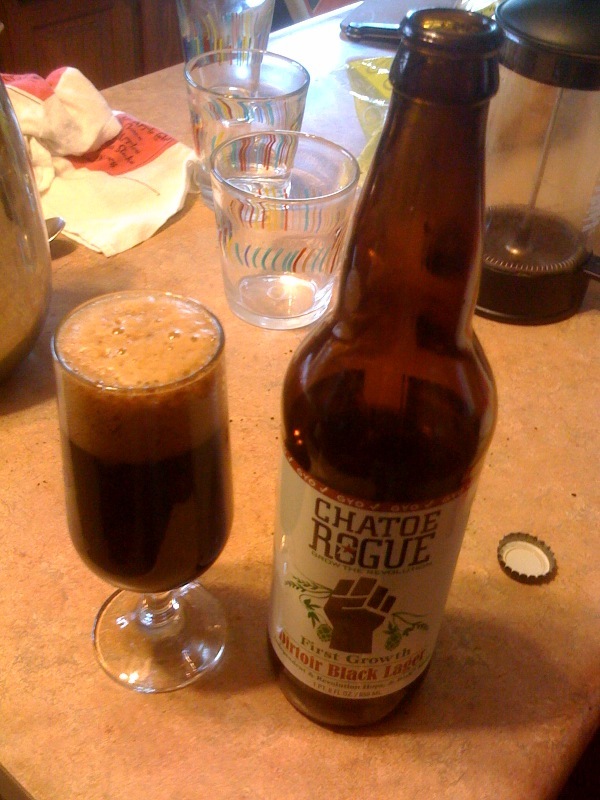 Rogue’s take on the Schwarzbier is what one might hope a Scharzbier would taste like5. There’s a pleasant bitter hoppiness present with a sweet chocolate and coffee malt flavor as compliment. Yes, lager heaven does exist and it’s in Oregon. If the Schwarzbier is the black sheep of the lager family, the Pilsner is the golden boy. However, more than any other beer style, Pilsners have been bastardized in order to sell to the masses. Beck’s, St. Pauli, and Heineken come to mind when one first thinks of Pilsners, but many, if not most, mass-produced American beers are based on the style. This is probably what gives lagers and Pilsners such bad names among beer geeks. That’s generally how I’ve felt about Pilsners6 until Easter weekend encouraged me to break open my 750 mL bottle of their Imperial Pilsner, a first-time collaboration with Belgian brewers at Orval7. This beer is like a Belgian golden ale in lager form. Bananas8 burst at every sip and temperature. Unlike most Pils, the beer even gets better as it warms. The Boulevard Smokestack series has rarely disappointed me and this is no exception. Really, it’s a great beer to enjoy with spicy foods such as Thai and Indian. And at 8% ABV, it can stand up to rich, fatty foods like few Pilsners can. To prove my point that lagers are not all bad (or typical), I’ll cite three beers. 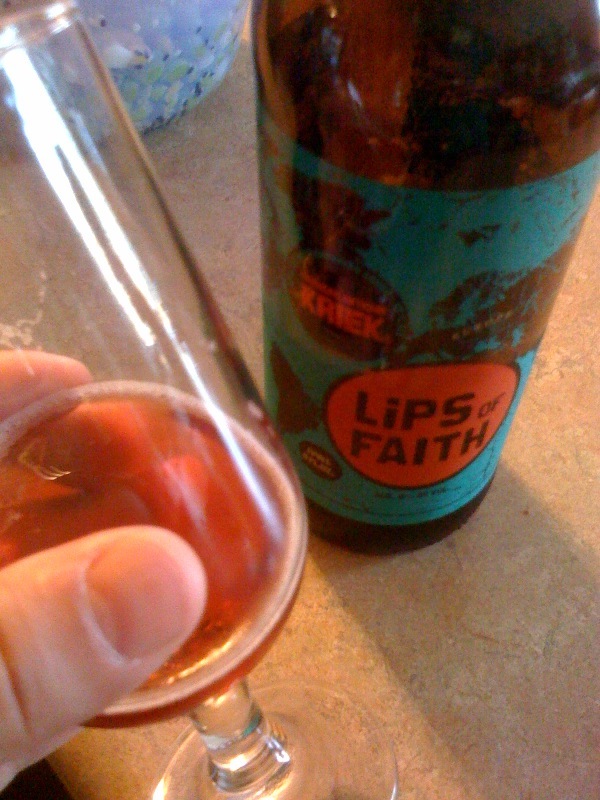 The third is actually a Kriek, or that’s what New Belgium wants you to believe. Their Lips of Faith Series Transatlantique Kriek is a blend of a Belgian lambic and a special brown lager9 brewed by their own brewer. This is the dirty little secret of many lambics. They are often just regular beers with sweetener and artificial flavorings added to make them fruity. Some are true to form, but this NB Kriek is an original. The folks at some of the beer rating sites don’t like it much10. Unlike the Rogue and Boulevard beers that stuck pretty close to traditional styles and techniques while perfecting the results, this Kriek does things a little differently. The cherry presence is subtle and the finish is crisp and dry. I didn’t feel like I was drinking sparkling cherry syrup…nor did I feel like it was just a lager. These are not the only reasons one should try a lager now and again, but these are beers you should try. 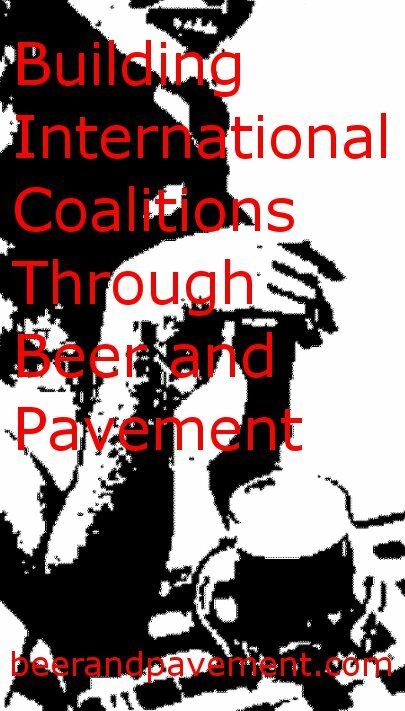 1Yes, I am actually writing about beer on this blog. It may finally be time to retire this beer blog and consolidate my prose. 2Or at least want their beers to taste good. 3Like I may have to do for wheat beers. 4I believe the yeast strain is German so as to be true to the style. 5I always imagine that German beers are wonderful since beer is so important to Germans, but I am usually disappointed. Germans and British have nothing on Belgians and Americans. 6With the exception of random craft brew releases of super hoppy pils that seem to come and go, never really establishing themselves among the beer elite. 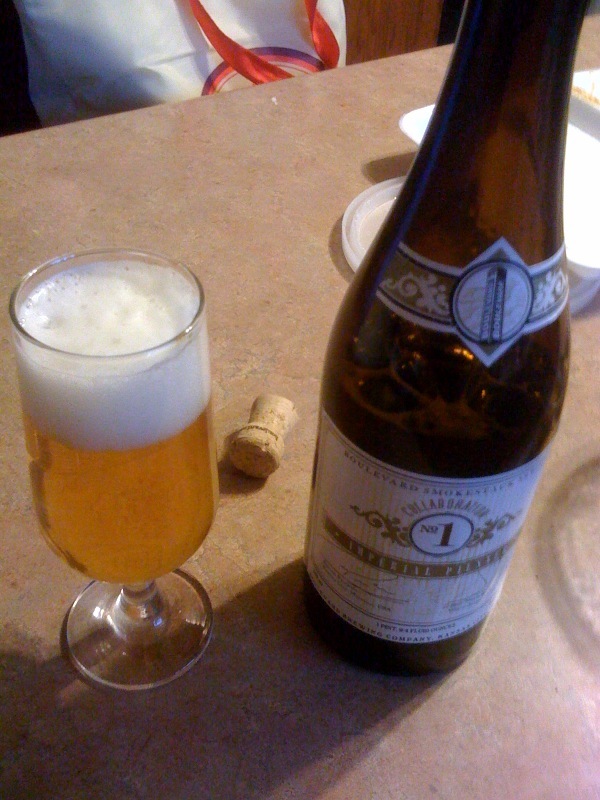 7By far one of the best beers I’ve ever had the pleasure of tasting…and it’s readily available almost everywhere. 8Good beer either makes you think “raisins” or “bananas.” It’s cliche but true. 9Although, the bottle says ale and the website says lager. I’ll go with the website for my purposes. The point is that this is a surprisingly good beer. 10Beer Advocates often rate beers on their proximity to a classic style or how much the beer slaps them in the face with over-the-top flavor. This beer does neither, so it is considered just worthy to the beer elitists. However, Beer Raters do like it. Where’d you get the Rogue from? I think I bought it at the Hyvee on Nifong.